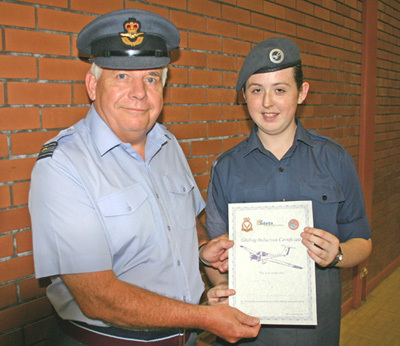 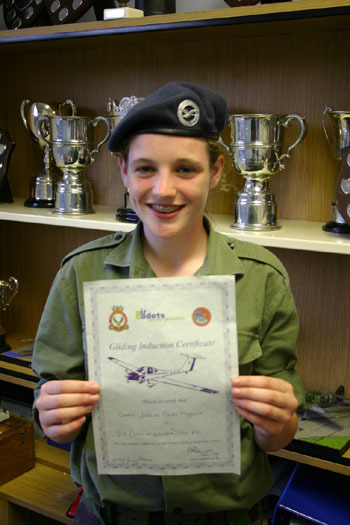 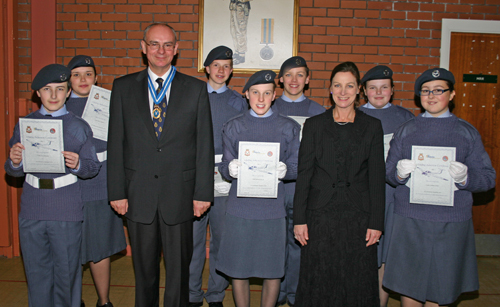 Squadron Leader Len Protheroe presents Cadet Amy John (f) with her Gliding Induction Certificate. 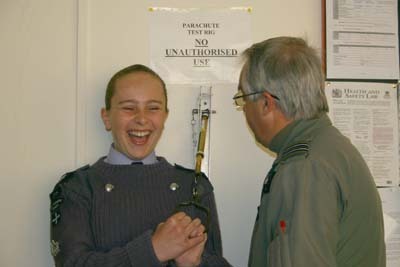 Corporal Sarah Flower (f) all completed their first flights in the Vigilant Glider at the 636 Gliding Squadron, Fairwood, Swansea. 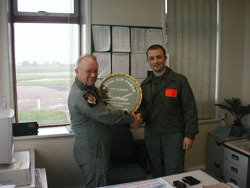 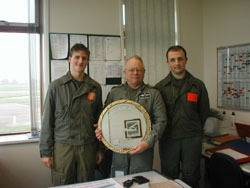 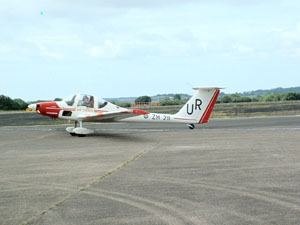 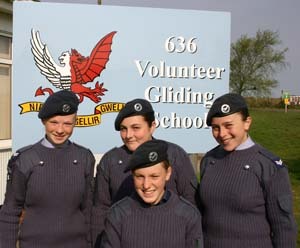 Gliding Induction Course at 636 Gliding Squadron, Fairwood. 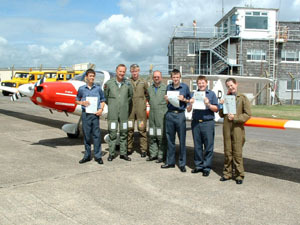 Squadron Leader Phill Davies, OC 636 Gliding Squadron welcomed Cadets Aspland, Hannah, Howells and John (f) for their Gliding Induction Course. 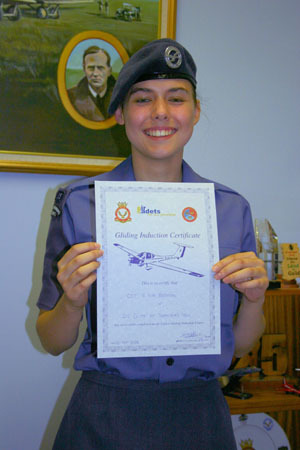 All four Cadets had approximately 20-30 minutes Gliding Experience and earned their GIC Certificates, which were presented by OC 636. 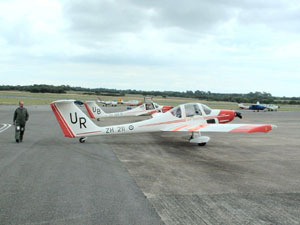 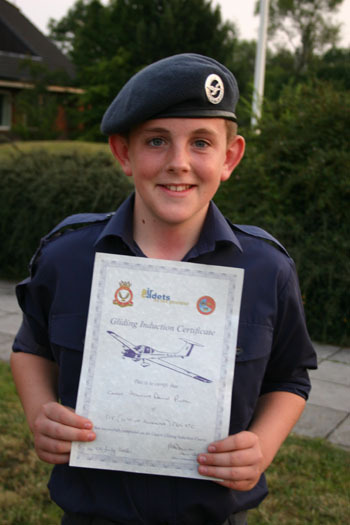 All four Cadets will now have the opportunity to apply for a Gliding Scholarship Course to achieve their 'Solo' Wings when they reach their 16th birthday. 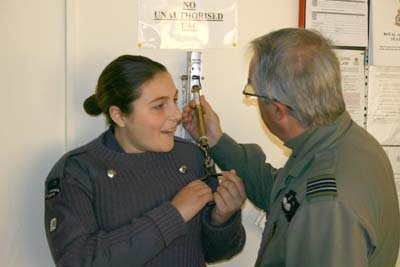 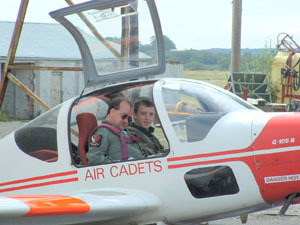 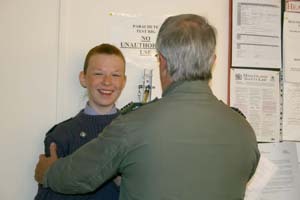 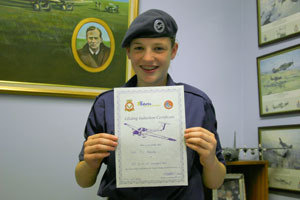 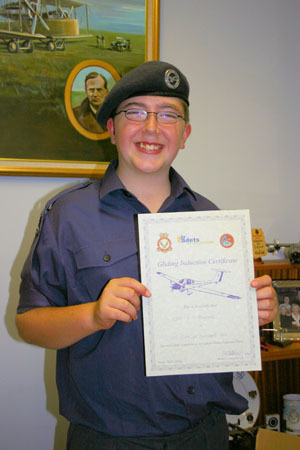 Cadet Howells prepares for 'Take Off' with Flight Lieutenant Stewart Pinching. 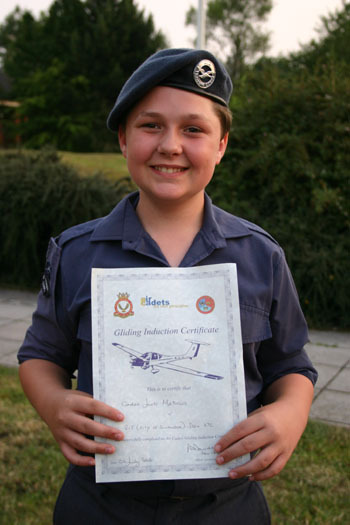 Cadet Matthews and Cadet Picton have received their Gliding Induction Certificates after their visit to Fairwood Airport, Swansea.